So, your package includes an engagement session! Now what?! Well, first things first. We have to decide when and where to do the shoot. When is the wedding? Will you need the images far in advance, like for a Save-the-Date? 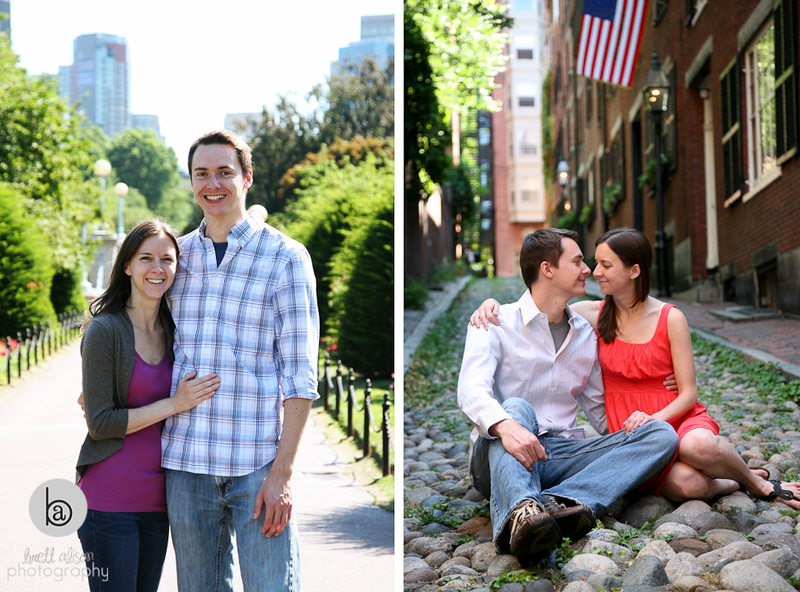 If so, then you will probably want to do the engagement shoot at least a month before you plan to send them. Otherwise, we can be pretty flexible. It’s great when a location has some sort of meaning to you, and we can build on it from there. 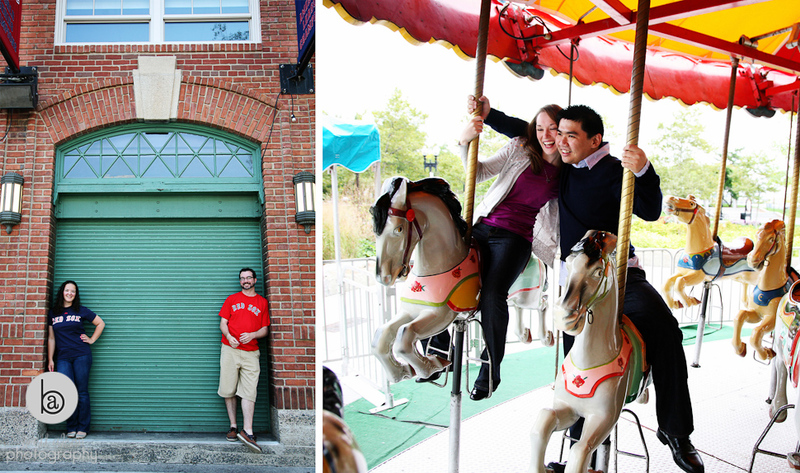 For example, Kim and Julien are huge Red Sox fans, so we started at Fenway; Jennifer and Kah Yong are young at heart, so we did a few on the carousel at Christopher Columbus Park. Okay, we’ve chosen a spot and a date for the shoot, now, what to wear? For starters, you should wear something that makes you feel comfortable and confident! In general, stay away from large/busy prints, and don’t be too matchy. You do want to wear outfits that complement each other, but if you wear the exact same color shirts you may start to blend together too much. I like the way the blues complement each other in Audrey and Eli's outfits; Stephanie and Dwight decided to get a little more dressed up for their photos in the park. Dress for the occasion – if we’re going to be outside shooting for an hour in the late fall/winter, you are definitely going to want some layers. Also, we might be walking a bit, so ladies, bring some flats to change into when you need them! Katelyn and Cory wore their coats for part of the shoot, and they look great! Feel free to bring an outfit to change into – lots of clients want both casual/dressier looks, and I love it! Melissa and Jim did a quick change to get a different look. Just keep in mind we’ll need to find a place for you to change, so if it’s easier to just switch from sweater to jacket with different accessories, you might want to consider that. I don't think Michelle and Brent needed any help, I love their style! 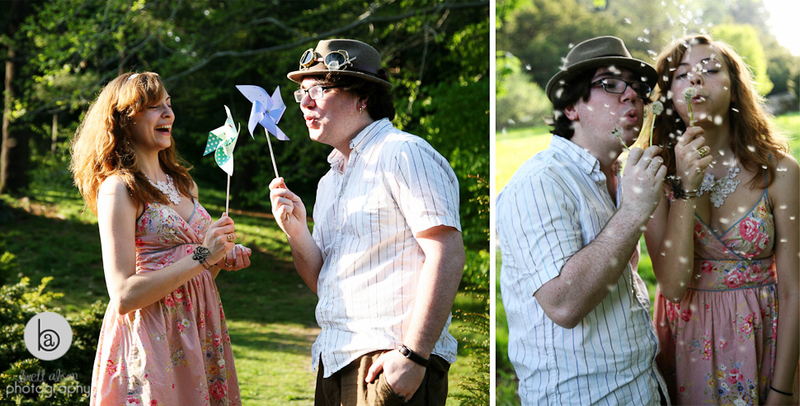 We want some photos that incorporate our interests/personalities/wedding theme… How do we do that? First of all, the location might be a start – maybe a few shots of the two of sitting outside of your favorite café/bookstore/ice cream shop? Your college campus? The place where you met/had your first date/got engaged/walk your dog? Marc and Allison decided to go to the trail where he proposed (also where they regularly go for long walks with their adorable dog); we incorporated some color into Heidi and Chris' shoot by finding this colorful shop; Audrey and Eli have a “rustic elegance” look planned for their wedding, so we chose Appleton Farms as one of their locations to keep with the theme. 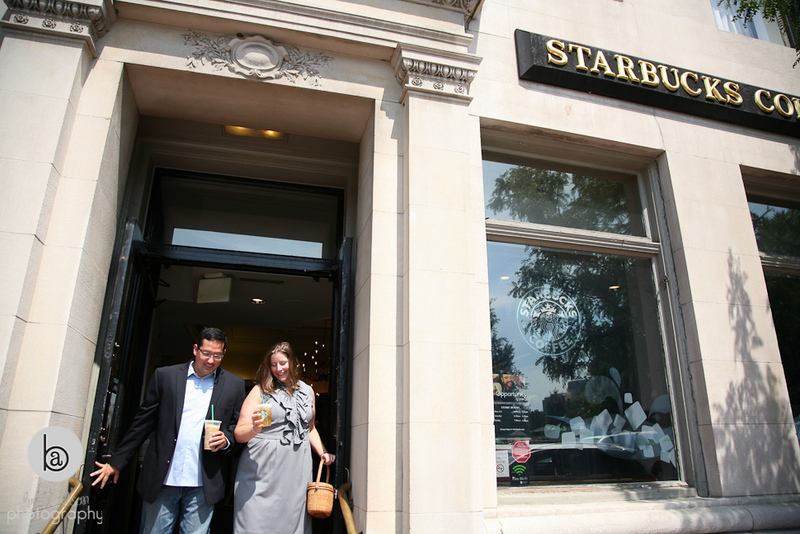 This was a quick one-off shot after Mike and Kristen got their Starbucks fix during our shoot! 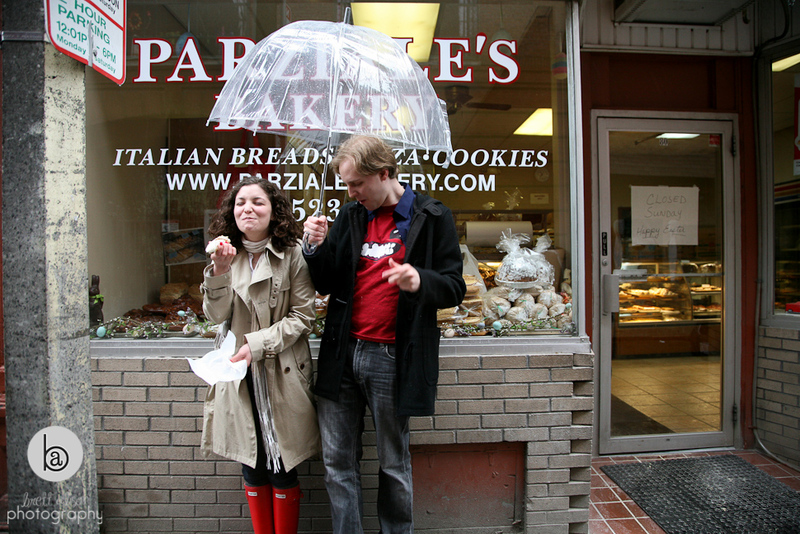 We stopped at a bakery in the North End at the end of Sherika and Geoff’s engagement session because they said they always get cannolis when they’re in the North End. 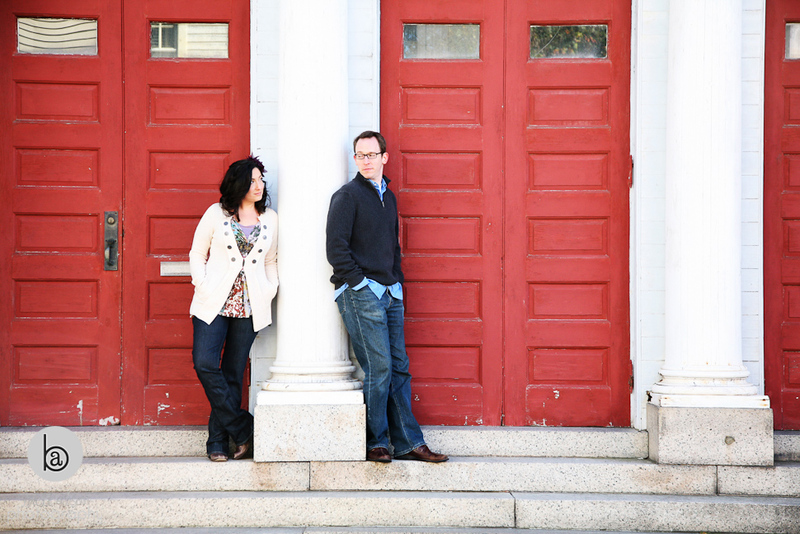 Kerry and Scott love the charm of Newburyport, with its brick buildings and quirky shops. Bring props! Be creative, or ask me for suggestions… Flowers, balloons, umbrellas, a fun purse/bag, your favorite books, hats, instruments, magazines that showcase your interests… Keith and Lisa were all about the props – they brought pinwheels, streamers, steampunk goggles, bubbles, and we got creative with what we found, too! Sherika and Geoff utilized the umbrellas (we definitely needed them that day), and picked up a red rose for color, and to complement Sherika’s awesome rainboots. Other ideas – bunter/banner spelling out save-the-date, or “we do” or whatever you can think of! You could coordinate the colors with your wedding colors. I’ve also seen board game fanatics use scrabble tiles, or you could use a chalkboard to write a message. If you’re crafty and creative, make your own props! Soooo… are you going to make us do a lot of silly stuff? We’re not used to having our picture taken! Um, no. 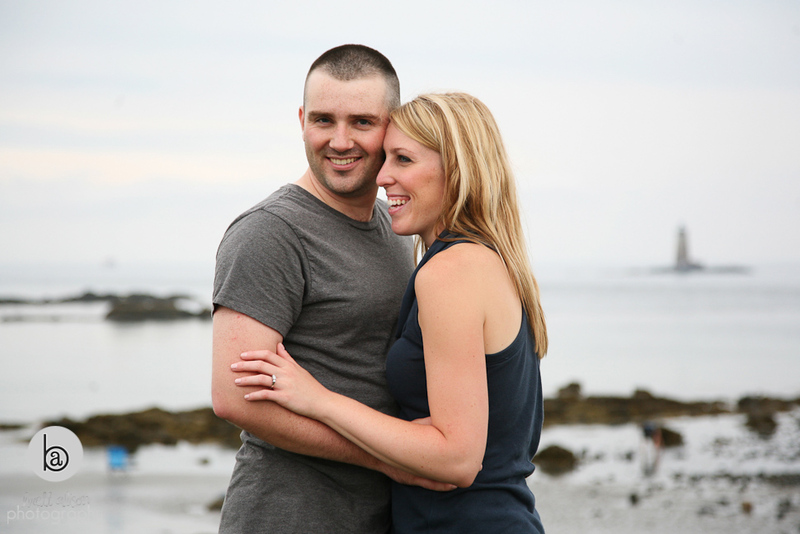 My number one goal is to make you feel comfortable in front of the camera while taking pictures that you will love! If you don’t want to jump up and down, lay on the ground, or do any other things like that, I will not make you. I might suggest it, but I generally take my cues from you, and if you would like more classic poses, that is great. We can stick with that, while still bringing out your personalities. Kah Yong loved to pick Jennifer up!... But we got a few more serious shots in there, too. Another idea to consider if you are not comfortable in front of the camera – a shoot revolving around an activity – can be something you already love doing, or something new. For example, going apple picking in the fall (Nashoba Valley Winery is one of my favorite places), playing music, a picnic in the park, playing games at an arcade (I love Salem Willows! – and there’s a park right there on the water, too, best of both worlds :)), going bowling, cooking (at home or take a class), showing off your shared hobby, or highlighting your differences with an “opposites attract” theme.